A lovely modern apartment in a quiet complex with beautiful communal pool in the heart of the old town. Close by to all amenities in a sought after location. Only a few minutes walk to the beach. Lovely apartment in a quiet complex in the heart of the old town within a few minutes walk to the excellent bars and restaurants nearby, There are also several supermarkets very close by and the beach is only a 10 minute walk away. 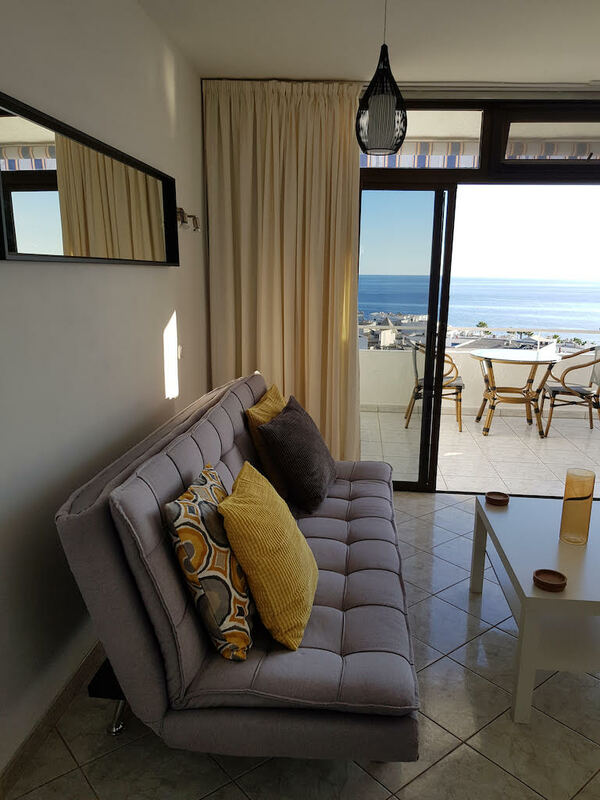 There is a large south facing balcony with stunning sea views across to Fuerteventura. The balcony has sun loungers to catch the all day sun. There is also a table and chairs to enjoy some alfresco eating or to enjoy the lovely sunsets. The complex has a beautiful pool with loungers to help top up the tan. Facilities include free unlimited WiFi and large flat screen TV with English TV channels. The apartment has double bed, wardrobe, walk in shower, washing machine, full size oven and hob, safe for valuables, kettle, toaster, microwave, coffee maker, fridge freezer, iron and ironing board, hairdryer. Linen and towels provided and changed after seven day stay. Beach towels available on request. Apartment in a very quiet well run complex but very close to nearby restaurants, bars and beaches. The apartment is only 15 minutes car journey from airport. From £350 per week, please make an enquiry for a price for your travel dates.